So what do we do? We research five different, but interrelated, areas. Can groundwater development be sustainable in different hydrologic and political settings? Interdisciplinary research on this important scientific and societal challenge integrates recent hydrogeologic research with cutting-edge sustainability concepts such as strong sustainability, backcasting, multi-generational goal setting and adaptive management. Check out our papers on the groundwater footprint or groundwater sustainability. Are regional- to continental-scale groundwater processes different from local-scale processes? Both groundwater management and science are generally limited to the scale of small watersheds, and yet better understanding and management of large-scale groundwater resources is also critical. Check out our papers of a global permeability map or the water table across a continent. We are a visual, attention-deficit culture yet groundwater is invisible and sometimes hard to quickly comprehend, which hampers our ability to understand, manage and care for it. We work with companies, NGOs and government to develop online, interactive maps and tools for water managers and the general public to better understand and manage groundwater. 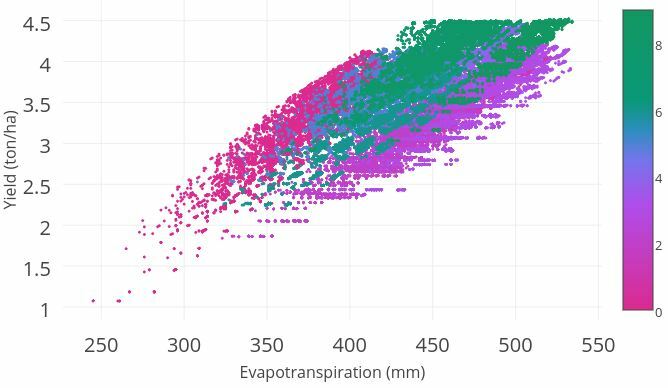 The image to the right is crop kite for visualizing agricultural water productivity. How does water cross the land surface in diverse hydrologic settings? 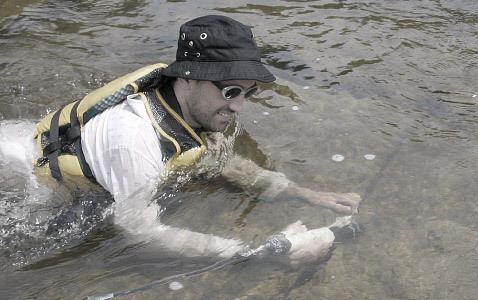 Recharge and discharge processes are a critical connection between the hydrosphere and geosphere and are vital to groundwater sustainability and surface water ecology. Check out our papers on groundwater discharge along faults or across a watershed. How do faults and fractures impact fluid flow? Feedbacks between fluid flow and faults are critical to problems such as earthquakes, carbon sequestration and the safety of shale gas development. 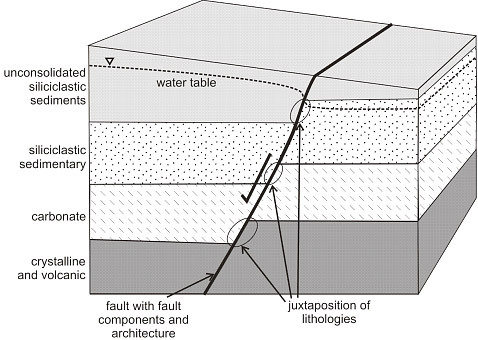 Check our our review paper on fault zone hydrogeology or paper on lineaments.